The North Coast of NSW is one of the most rapidly growing areas in the state. With its enviable lifestyle, it’s a ‘sea change’ destination for many retirees and a desirable place to live for young families. By 2031 the region is expected to be home to 670,000 people. 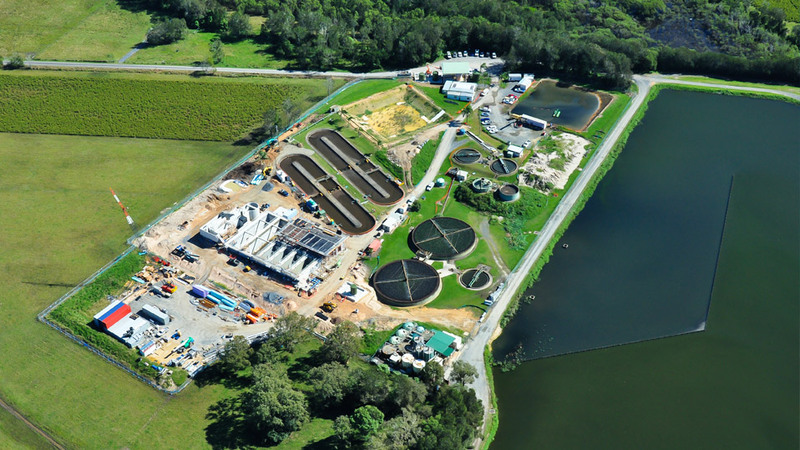 Infrastructure such as the new Ballina Wastewater Treatment Plant is critical if such growth is to be sustainable. This project involved the Design + Construct of a 30 000EP, 5 train, Membrane Bioreactor (MBR) plant comprising inlet works, MBR tank with anoxic and aeration zones, chemical systems, UV and chlorine contact tank, recycled water storage and sludge handling facilities. It also included the Design + Construct of industrial buildings, including control and maintenance facilities. Major concrete works, access roads, pipework and mechanical installation were also part of the scope. In nearby Lennox Head, provision of a microfiltration unit and recycled water facilities at the existing treatment plant was required. This project is a testament to HASLIN’s enduring reputation in the Water + Wastewater field, providing major water infrastructure all over NSW.